Digesting Science is our educational event for children aged 6-12 years old with a parent with MS. Our next London event date is Saturday the 29th of October and registration is now open! We’ve been running this free event for over 3 years and the feedback has been incredibly positive from both parents and children. 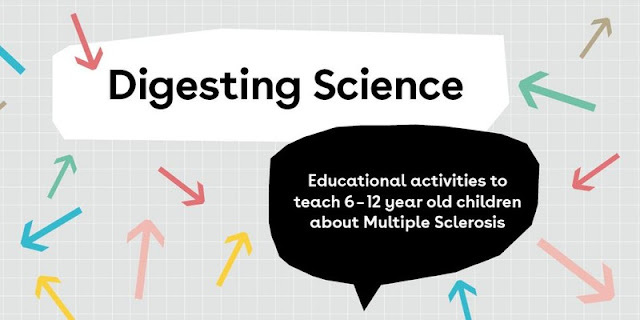 At the course families have the opportunity to meet our team and learn about what happens in the body with MS. This next event is held in Whitechapel, London and will be facilitated by a drama teacher in a fun environment. You can see what topics are discussed on the day from the event website:www.digestingscience.co.uk We’re also on Facebook (https://www.facebook.com/DigestingScience) and twitter (https://twitter.com/digestingsci). We are planning event dates in other centres around the uk for later in the year, for example, this morning, we are running a Digesting Science event in Norwich with the charity Mustard Soup. So if you would like to set up an event in your area please get in touch.